Katamuki Spirits (500pts - Marvelous) – Whilst it may have a fancier sounding name, this is of course DK Games' Equilibrio re-badged as the final entry in Marvelous Entertainment's World Game Parade. We certainly thought it was a fun marble rolling game as seen in our Equilibrio review and we wish DK Games' success with their Japanese debut! Metal Max (500pts Famicom - Enterbrain) – Originally published by Data East, this is a Japanese RPG with a sci-fi theme. The Super Famicom sequel, creatively titled Metal Max 2 was ported to the Gameboy Advance. Samurai Spirits: Zankurō Musōken (900pts Neo Geo - D4 Enterprise) – Gamers outside of Japan will recognise this as Samurai Shodown III. 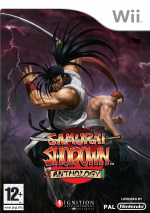 Of course you can already get a collection of the first six games in the series (including this one) in the form of SNK's Samurai Shodown Anthology, but it's always nice for people who want their favourites to be able to have the instant access a downloadable game provides. Can you beat Master Higgins? 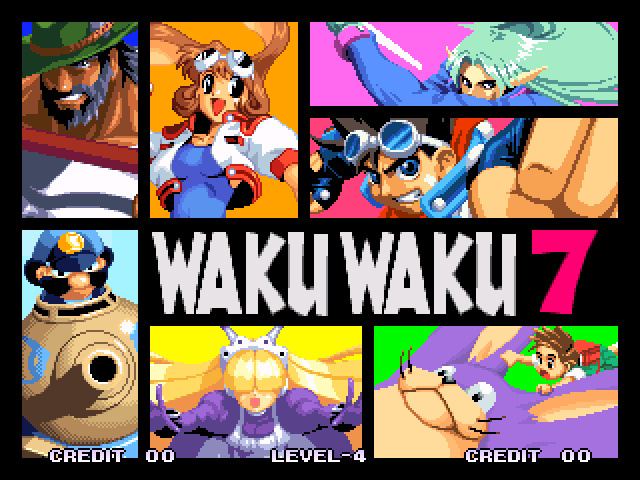 Waku Waku 7 (900pts Neo Geo - D4 Enterprise) – This is one of two games released by Sunsoft for the Neo Geo (the other being the yet-to-be-released-outside-of-Japan Galaxy Fight) and like Galaxy Fight, it's a sci-fi-themed fighting game. With Sunsoft releasing games outside of Japan again, we hope that both of these titles will see Wii Shops elsewhere someday. Mr. Do! (800pts Arcade - Hamster) – Rounding out next week's surprisingly robust Virtual Console offering is Universal's classic digging game Mr. Do! There were a few sequels - including one on the Neo Geo, but the original is definitely the best. Let's hope the kind folks at Hamster will be resurrecting more Universal titles in the future (Ladybug, please? ), and of course it would be nice to see any of the Hamster-published VCA titles appear in Wii Shops outside of Japan. 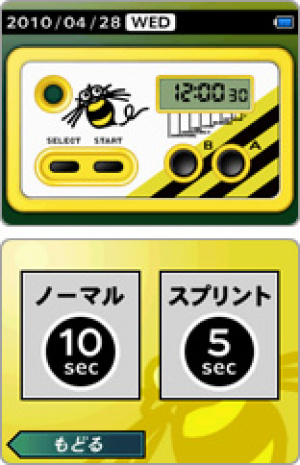 Aaa no Natsukashi no Shooting Watch (200pts - Hudson) – Looks like Nintendo's recreation of its venerable Game & Watch series of LCD-based handhelds on DSi has inspired Hudson to get in on the act. Originally released in 1987, the Shooting Watch was a device modelled in the shape of a Famicom controller and featured a tiny LCD screen that would display the number of button presses per second players could achieve, in addition to a stopwatch function (and presumably a clock). This virtual version should be cheaper than tracking down an original one or the recent limited edition recreation and looks quite faithful to the original device in screenshots. You get 10sec. and 5sec. button pressing modes and charts displaying your pressing prowess as well as a high score table where people can hand-write their initials - perfect for competition at the office! Artist ni Narou! Kikaruni Sketch (200pts - ERTAIN) – The "Become an Artist!" series continues in budget form. The focus of this entry is casual sketching of images in photos on your DSi. 10 Hyō Sō (200pts - G-Mode) – As the name implies in this game you have 10 seconds to guide a stickman to a goal with 50 courses on offer. The simple style and quick time-wasting aspect remind us very much of another budget release from G-mode so we might check this one out. Atelier Deco la Doll: Gothic (500pts - Starfish S.D., Inc.) – This is the second doll dress-up app from Starfish for DSi, but this is the first one with a subculture in mind. All the dolls are goths with choice of eye colour (all surrounded by dark shadows, natch) and clothing that tends to be dark and rather Victorian in style. It's something kids elsewhere will appreciate, so we certainly think it has cross-border appeal; now some erstwhile Western publishers just need to pick it up. Oshiete Darling (800pts - Starfish S.D., Inc.) – This appears to be a "virtual boyfriend" or dating sim. There's apparently a scheduling aspect and interaction with the boys with a selection of three to choose from: schoolboy, university-age and a salaryman in suit and tie. The title translates as "Teach Me Darling" - what will you learn? 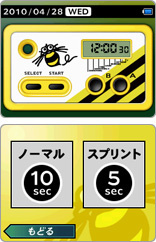 Tsukutte Utau Saru Band (800pts - Nintendo) – This is a new title which definitely fits in with Nintendo's other musical toy offerings. The website is thin on details, but from what we've gathered you put together a song and a kawaii monkey band plays and sings it for you. With Nintendo publishing it we'll probably see "Make and Sing: Monkey Band" showing up on other shores eventually. Renjuku Kanji: Chuugakusei (800pts - I.E. Institute) – The seventh (and most expensive to-date) kanji practice program in the ongoing series of study aides from I.E. Institute. This one is for kids in junior high school (grade 7). what games get released which days? They got a good update and although I like mr. do I would rather play it on a handheld console because like a lot of arcade games it's best for short bursts of fun. Oh, Mr. Do sounds good. I wonder how Shooting Watch will be received when it gets here. Yay for the rabbit guy in this Waku Waku 7 game! Love Waku Waku 7 and Mr. Do. I wonder if SNK will ever release Neo Mr. Do. It's amazing as well. @ KnucklesSonic8, I cant wait for the shoooting watch, not sure about using a ruler though on my ds! Since when is Waku Waku 7's setting a sci-fi one? Samurai Shodown III. So HARD but so good, my favorite. So glad Neo Geo games are starting to comeback again and Samurai Shodown III is a decent game. At least it's better than the 3D crap that was Samurai Shodown Sen that Xbox 360 had at retail. Wow! I'm suprised Mr. Do is on VCA in Japan. I love Mr. Do. Aaa no Natsukashi no Shooting Watch looks interesting. well.. maybe that Waku Waku 7 game. That one looks fun. That's a fun game, even if it does mimic Dig Dug a bit. Woohoo. Mr. Do. Gimmie, gimmie, gimmie. 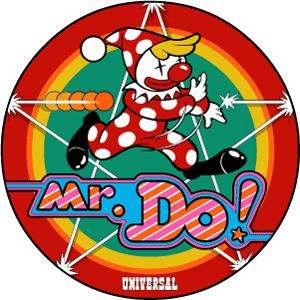 I looked up that Mr. Do! (1982) was also released for the SNES in its original arcade format in 1995. Cool. Agreed on the desire for Lady Bug on the VC! $8 for Mr. Do? No thanks. I somehow managed to completely miss your Equiibrio review or any news about it. Good thing I checked this page! I'd love to see Ladybug and maybe Pepper II as well. Oh, yeah. Ladybug and Pepper II were good games as well [I played those two, as well as Mr. Do!, on the MAME32 CD before it got lost]. IIRC, the former was a maze-like game with a twist, and the latter, iirc, was like a cat-and-mouse type of game. Note: There was never a Pepper I. @BassXO: Wii downloads are on Tuesdays and DSi downloads on Wednesdays - no clue why that is. You can already down load the "shooting watch" from the app store. It costs alot less as well! @NapalmHornet: Unless it's free I don't see how that's possible. Which app store incidentally? This is the Japanese download news, remember? Are the Facebook and Retweet buttons new, Sean? I've only seen those for the first time two days ago. A lot of VC games in Japan for the last week in April, but I'm assuming that Japan won't get an update on May 4, 2010 because of Golden Week. Yeah that could well be the reason - especially considering two of these VC releases were previously unannounced, though that's not unusual. I'll bet the arcade version of Mr. Do! looks good on a TV screen. I'll find out tonight and post my thoughts on my blog as usual, StarBoy! "And we wish DK Games' success with their Japanese debut!" Thanks !!! That was a nice experience to translate my game for japanese market. It went smoothly and people at Marvelous are really great. They posted three pages on their website about the game: Game page, video demo made by the producer, and an interview of me. To check for those who understand japanese. WAKU WAKU 7!!!!!!! AAGHHH I WAAANT IIIIIT!